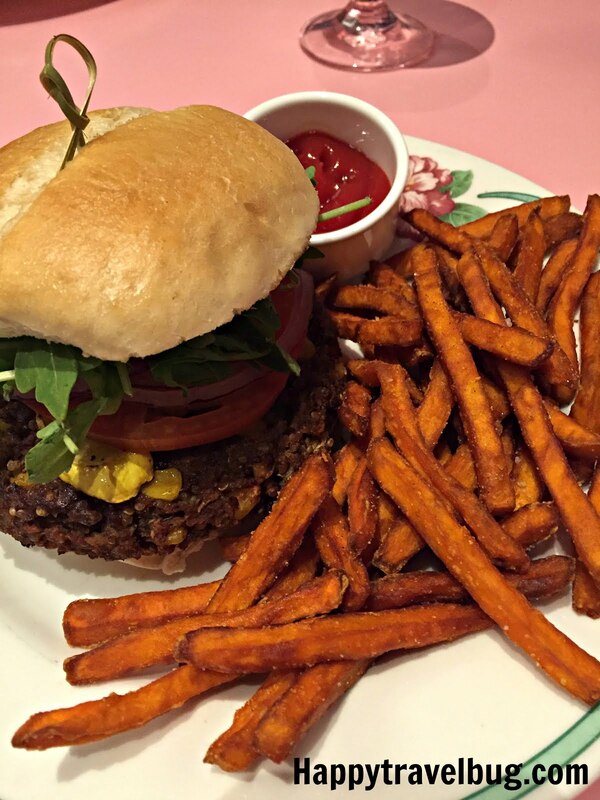 In honor of World Vegan Day, I wanted to give a shout out to my favorite veggie burger and sweet potato fries. These bad boys were consumed at one of my favorite destinations…The Greenbrier Resort in West Virginia. I have been to the Greenbrier numerous times, but my last visit was the first one as a vegan. I am very familiar with all of their restaurants and was a little concerned that I would have a difficult time. I am so happy to say that wasn’t the case. Every restaurant worked with me to provide an amazing meal. Sometimes even fixing things that weren’t on the menu so I could enjoy dinner in all the restaurants just like every one else. I hope you all try to eat a more plant based diet for your health, the environment and especially the animals. Happy World Vegan Day!